The Foundation is dedicated to supporting the communities we serve and in which our employees live, work, and volunteer. 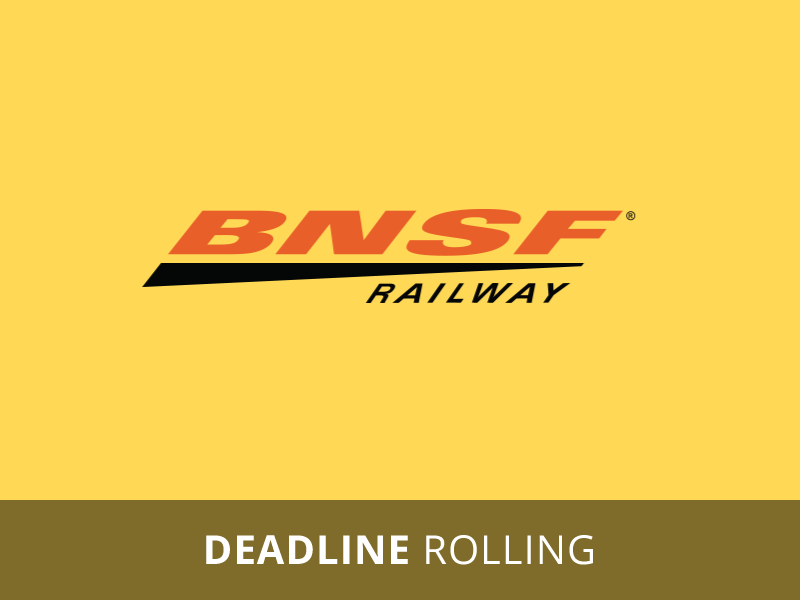 Your organization, or program, should exist in or serve a community near one of BNSF’s rail lines to be eligible to apply for grants. Please refer to the BNSF system map included in the Policies section to determine whether you are located on a BNSF route. Civic services including organizations which are concerned with the environment, as well as local community issues such as crime prevention, parks and recreation, diversity and community development. Cultural organizations that include performing, visual, and fine arts, museums and other related activities that offer opportunities for underserved children to experience cultural learning events, or preserve their cultural heritage. Health and Human Service organizations such as YMCA/YWCA, programs that address chemical dependency treatment and prevention, spouse and child abuse, women’s and children’s aid and transitional shelters. This category also includes hospitals and medical programs. Youth organizations such as Boys & Girls Clubs, Camp Fire, Scouts, Junior Achievement and similar groups. Federated organizations such as United Way and American Red Cross. A federally recognized tribal government, listed in the Federal Register by the Department of the Interior, Bureau of Indian Affairs.